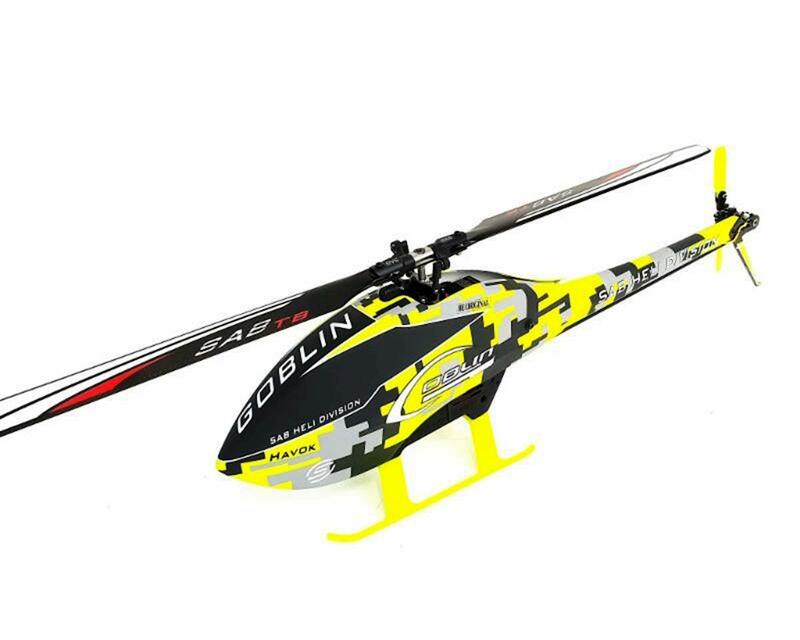 The SAB Goblin Fireball Electric Helicopter is an extremely innovative and unique helicopter within the sub 300mm class of rotor blades. Featuring a patented Direct Drive motor system which connects to the main shaft, the Fireball 280 does not utilize a typical main gear & pinion gear transmission system. The Tail Rotor Belt is additional connected to the Brushless Motor, allowing for an incredibly low parts count, and extremely simple tail drive solution. Unheard of performance within it's class is one of the design goals set forth by SAB, and to provide this to the pilots, some components found through out the helicopter are made out of strong yet lightweight plastic materials which helps shed weight and lower product costs. The Havok edition includes the SAB Competition motor, SAB 60A ESC, servos, and blades. Simply add a flybarless gyro of your choice, and 6s battery!